Oh my goodness! What a fun time the past week has been seeing you create amazing Wanderer’s Clutches during the sew along!! I am so proud of your efforts and have loved sharing this experience with you, thankyou for coming along for the ride! Professional photo by Mia Mia Photography during my book photoshoot, I love the colours in this! 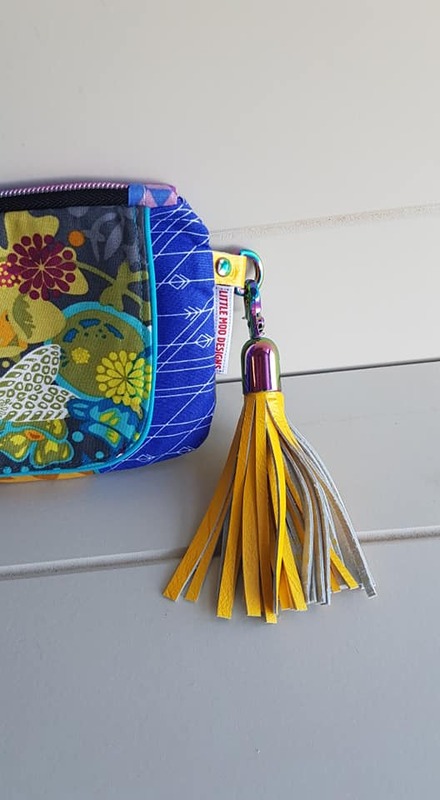 Thankyou for embracing all that my book is about, sharing the love of bag making while learning new skills and producing products with a professional finish. 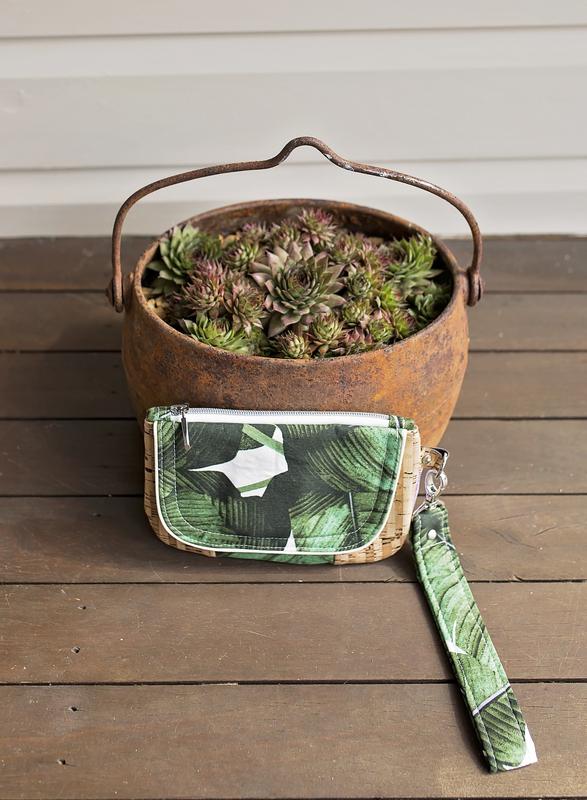 On that note, I thought I would finish the Wanderer’s Clutch Sew Along with a blog post all about product photography. I will start by saying I am not a professional photographer and I don’t claim to be. I do however like experimenting with photos and I hope that the tips below might help you feel more comfortable taking photos. I do have a DSLR camera, however I find it not a practical camera when I just need to snap some quick pics for social media. For this, I use my mobile phone (Samsung Galaxy 7). Presentation: This is everything! Give your clutch a final iron, it is worth the time it takes to ditch the wrinkles and giving your clutch a crisp finish. Get to know your phone: Most modern mobile phones have pretty good camera functions. Don’t just rely on the auto setting, I often use ‘selective focus’ for my product photos, it is worth playing with the different settings on your phone to see what works best for you. The editing tools on your phone can also be helpful, I use the crop tool and sharpen tool regularly. Lighting: ooooh this is an important one, considering we are talking about using our mobile phones rather than DSLR’s in this blog post I will talk about natural lighting rather than studio lighting as I think most people won’t have access to studio lighting. I have my ‘photo station’ set up in front of a window. Most of the window’s in my house are dark tinted (thankyou Queensland summer heat! ), however the window in my sewing room is not tinted. Make the most of the natural light in your home by setting up your photoshoot in front of a window to maximise the use of natural light without the harshness of being in direct sunlight. Experiment with differnet positions in your home to get the best finish for your photos. You can use the editing tools on your phone to lighten and darken your photos also. Time of the day: Would you believe that I only take my photos in the mid afternoon generally! Why you may ask? it is to do with where the sun is at that time of the day, I find that due to the position of the sun dropping closer to the horizon, it gives a lower contrast, the light is “warm” overall instead of being such a strong white light. Of course cloud cover can play a part in this also. It is a good idea to experiment with what time of the day suits you best to get the correct lighting for your photos. 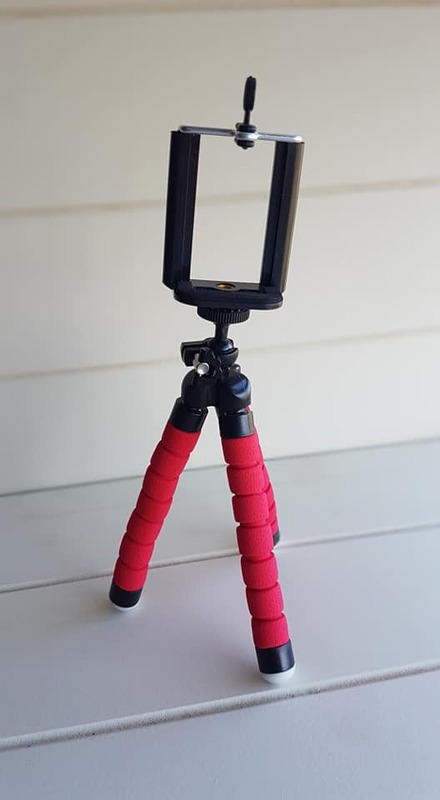 Stabilise your phone using a tripod, this is the mini one I use. 6. Backgrounds: I don’t believe there are any wrongs to this, it is about finding what works for you. Maybe you choose a background that reflects your personal style because that is important to you? I have seen some amazing photos in front of artistic walls (graffiti walls) or beautiful trees. The one thought I have on this is that it is important to remember your backgrounds are in your photos, so be aware of any mess/undesirable objets in the backgrounds of your photos as this will show and doesn’t look professional. For me, I live on a farm where we are experiencing drought at the moment, there is very limited green grass or trees, outdoors is not the best reflection of my product so I built a white background using timber from my local hardware store that I take most of my photos on. I have also used photography backgrounds (check these out on ebay) I do however find they show wrinkles sometimes however I love the different looks you can get for a great price. I know some people use light boxes, again you can get some well priced ‘pop up’ light boxes which work well and are portable, these work well I find for small products. Of course different fabric choices may impact the type of background that works best for your clutch. 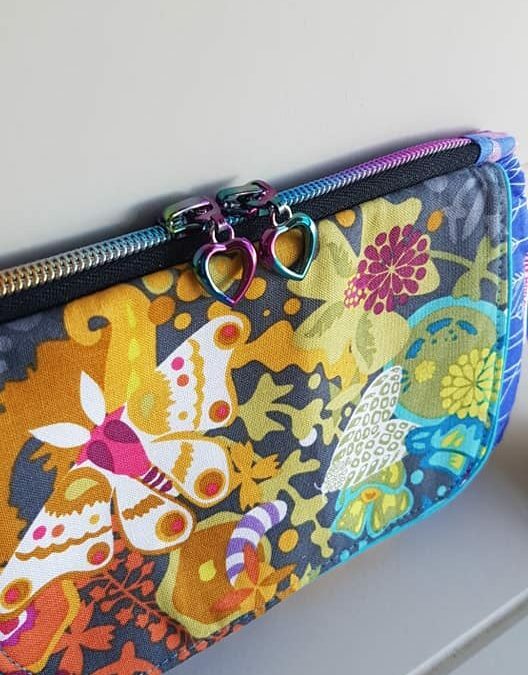 I made a really bright clutch with lots of blues and yellows, I took the same photo on a few different backgrounds to show you the variance in photos. Which one is your favourite? There is no right or wrong, however my personal preference is the white matte background. (These are all unedited to show you how they look in true form!). Remember that your clutch is the focal point of the photo NOT the background, so make sure your clutch is the star of the show. 8. Practice: as with anything practice taking photos, try different backgrounds, different lighting and different settings on your phone until you find what works best for you. The most important thing is showing your clutch off in the best way possible, fussy backgrounds aren’t needed for this, keep it simple and sharp. Let your clutch do the talking! 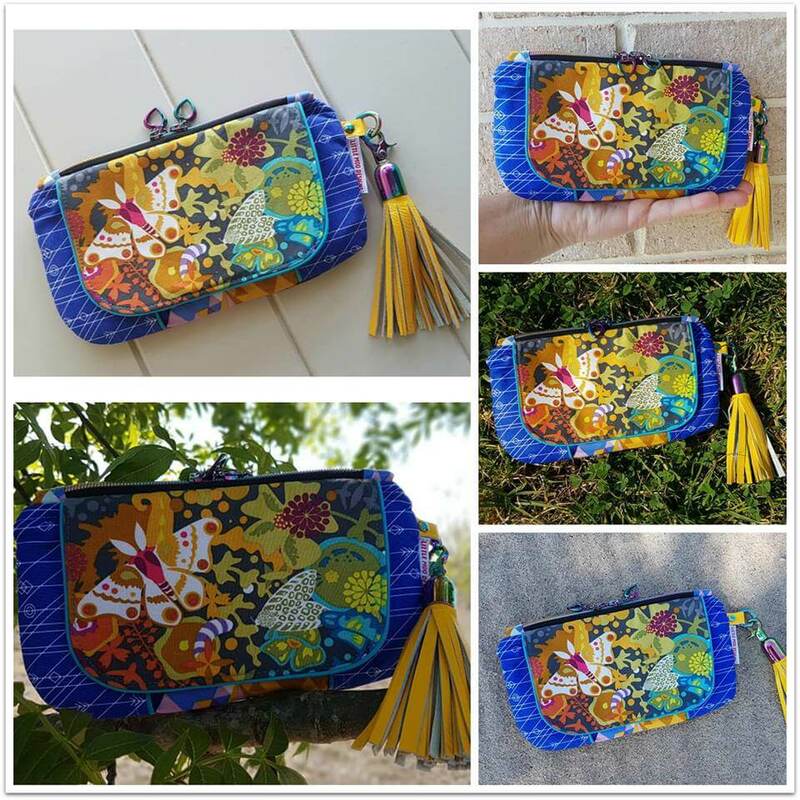 I would like to set you a challenge, try taking a photo of your Wanderer’s Clutch on 3-4 different backgrounds like I have, make a collage in pic monkey and share in my FB Group. We can continue this discussion in there about what you learnt, what is your favourite photos and how these tips might help others also. I look forward to seeing them! I was going to talk about flat lays in this blog post however I think that needs a post all of its own, which I will share with you in the coming weeks. 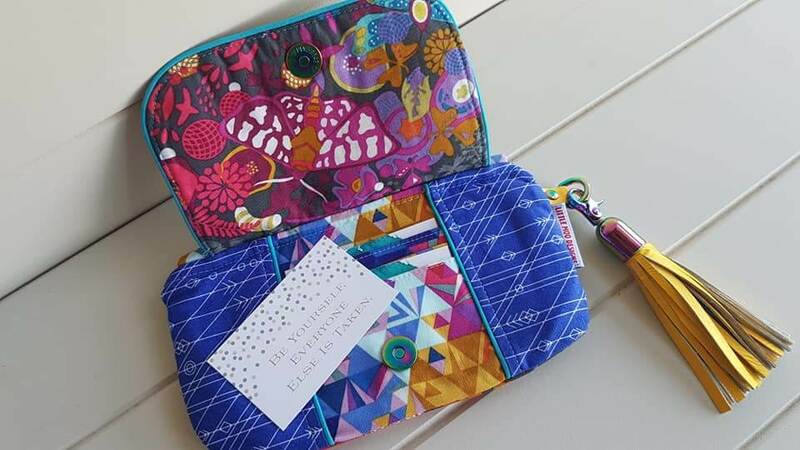 I hope you gained some new skills during the Wanderer’s Clutch Sew Along. 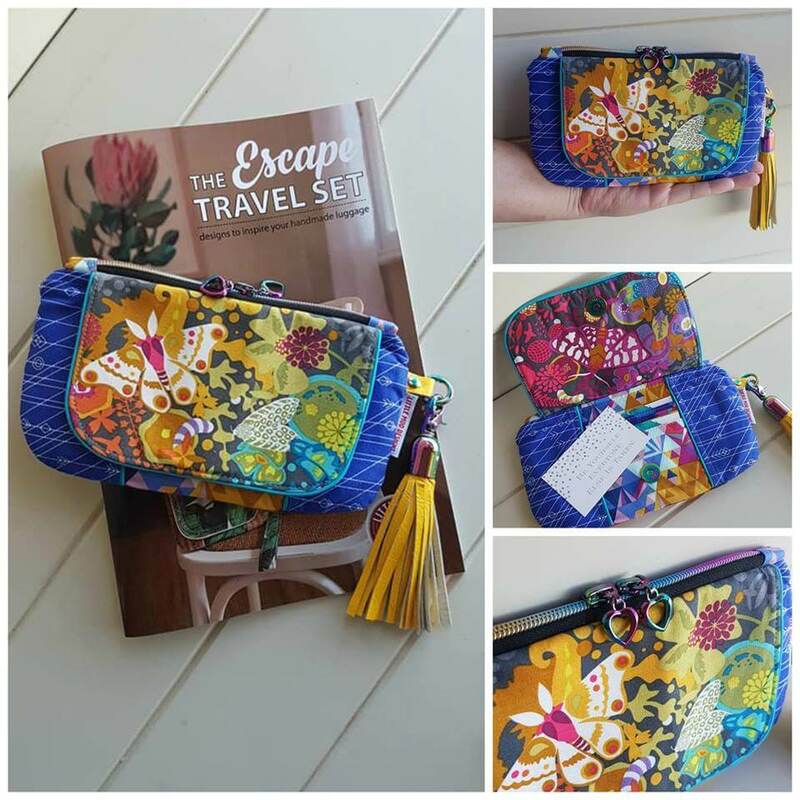 Keep sharing your clutches and I look forward to another sew along in November for The Jetsetters Travel Compendium.